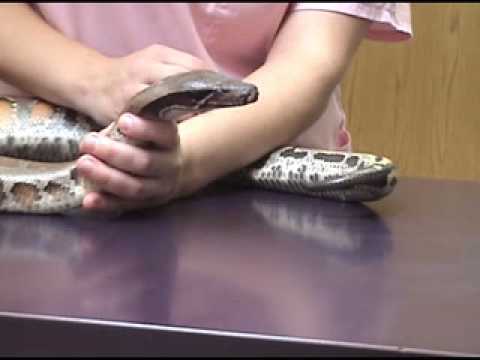 An excerpt from a TAGteach veterinary technician training video by Dr Linda Randall showing how to handle a blood python safely. OMG This whole video is WRONG, WRONG, WRONG! Do not do anything this idiot is doing here. This is not vet related, but great music selection!